Most of the screws we keep are the square head / scrulox / screwlux drive type. 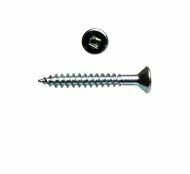 Screws are sized by screw gauge, the bigger the number, the fatter the screw. 10mm / M10 (Metric) threaded zinc plated steel rod. 225mm long (might be supplied a little longer than this). Box of 200 no.8 x 1-1/2 inch brass countersunk slotted wood screws. Great for outdoor use or in damp environments. Pack of 100 brown plastic wall plugs. Use with 7mm drill bit. 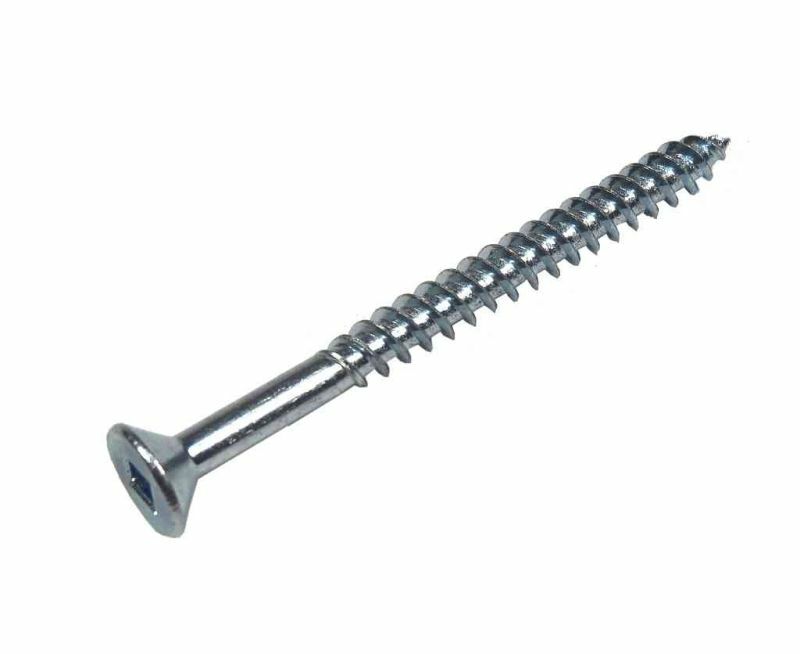 Suitable for number 8, 10 or 12 screws. Steel bolt with M10 metric thread. Threaded part is 50mm long. Pack of 100 red plastic wall plugs. Use 5.5mm or 6mm drill bit. Suitable for number 6 or 8 screws. Number 2 Robertson Scrulox / screwlux / square drive screwdriver - RED HANDLE. This screwdriver suits number 8-10 screws (the most popular sizes). 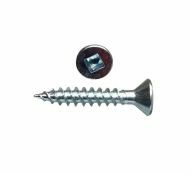 Pack of 100 self-drive fixings for plasterboard complete with 32mm screw. The first part cuts and secures itself into the plasterboard, making a mounting point for the screw. Easy snap-off point to permit use where cavity is small or in special applications. Spring toggle M5 / 50mm. All metal cavity fixing with pan head slot screw. Heat resistant construction. Bright Zinc plated steel. Spring activated toggle bar. Spreads load over a wide area. Ideal for cavity walls and ceilings, especially good in lath, plaster and fibre board. 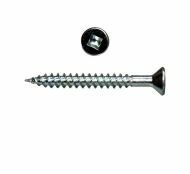 Box of 200 No.10 x 1-1/2 inch countersunk head BZP Square Lok / square recess Scrulox type wood screws. Box of 200 No.8 x 1-1/2 inch BZP countersunk head Square Lok / square recess Scrulox type wood screws. 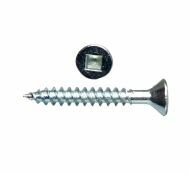 Box of 200 no.8 x 1-1/4 inch countersunk head BZP Square Lok / square recess Scrulox type wood screws. Box of 200 no.8 x 1 inch countersunk head BZP square-lok / square recess Scrulox type square recess wood screws. Box of 200 No.8 x 2 inch countersunk head BZP Square-Lok / square recess Scrulox type square recess wood screws. Box of 200 no.8 x 3/4 inch countersunk head B.Z.P. Square Lok / square recess Scrulox type wood screws. Hex screwdriver bit, suits Scrulox / Screwlux / Squareloc / Square Drive Screws. 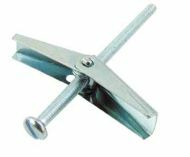 Very popular with tradesmen, this number 2 bit suits number 8-10 screws (the most popular sizes). 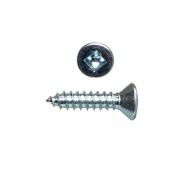 Box of 200 no.8 x 1-1/2 inch stainless steel countersunk screws. Great for outdoor use or in damp environments.